We start this week’s blog with the sad news that FRT member and RSR Board member Dave Manley died last Tuesday morning after a three year fight against cancer. Dave had been a key member of the Ribble team at Preston and could often be found driving the mobile plant to top up coal with the JCB, receive materials with the fork lift or move earth with the dumper truck. He was always helpful to us when there was a need to get things done and he will be very much missed by us all. The funeral will be at Crewe Crematorium on Friday, 7th September at 15.20, with donations to the Macmillan Nurses. 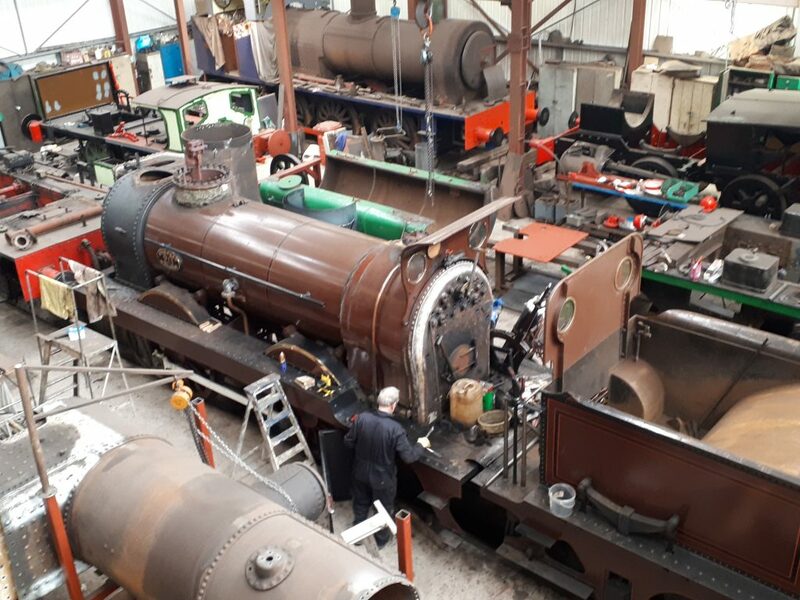 Work continued last week on the job of dismantling FR 20 with John and Tim spending most of their time on the job on both Wednesday and Friday. 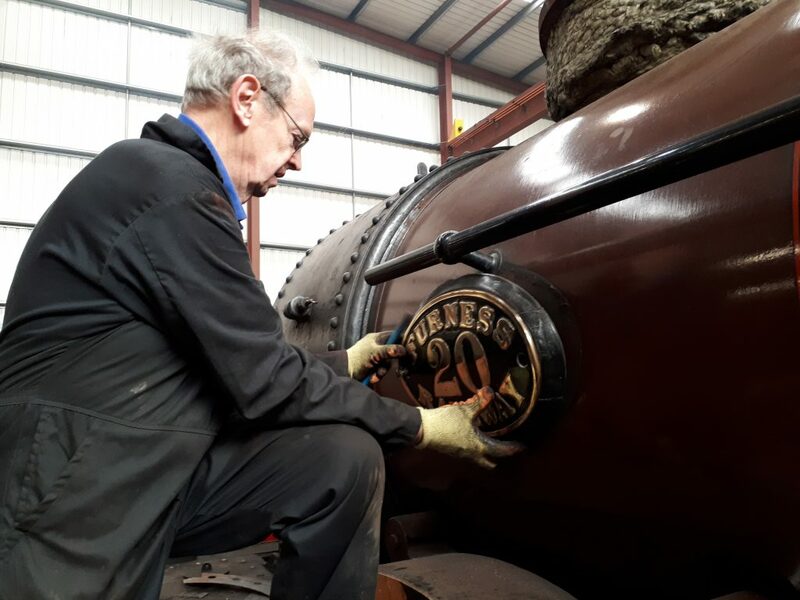 Neil came in on Saturday to clean the footplate around the reverser quadrant. Tim also managed to carry out some paintwork round the mess cabin door on Wednesday but was then thwarted by the weather. 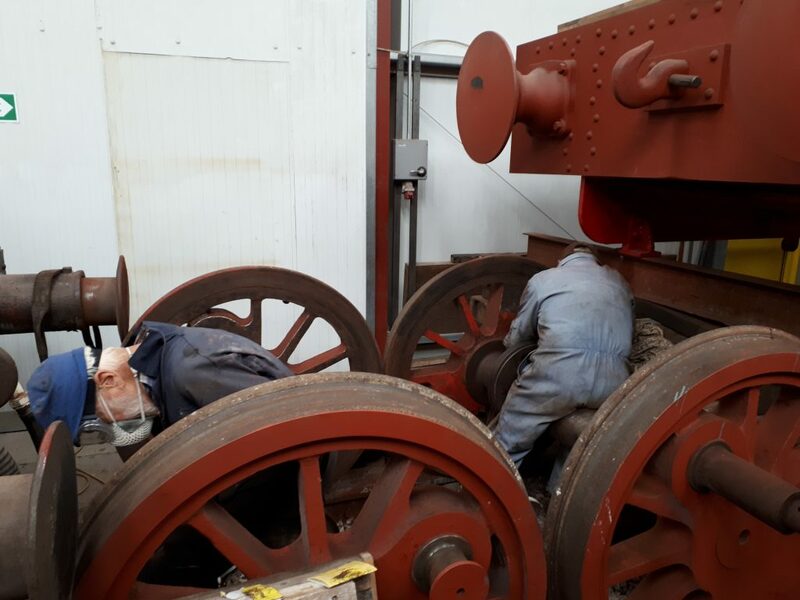 Adrian and Howard have continued their work on Caliban and Fred and Roger appeared on Friday to clean up the insides of the wheels, which had been released from under the frames the previous Wednesday. There was some considerable disappointment at Embsay on Friday when there were difficulties in raising the required pressure on 5643 and Keith returned there on Saturday and today to try and effect remedial work on the loco. The cause of the problem was a steam leak around the regulator box and this has been removed and brought back to Preston to be machined, hopefully on Wednesday. And finally, the Friendly Engines event on the RSR over the Bank Holiday weekend was augmented by some model railways to keep visitors entertained. The weekend was deemed to be a success with visitor numbers higher than last year on all three days. 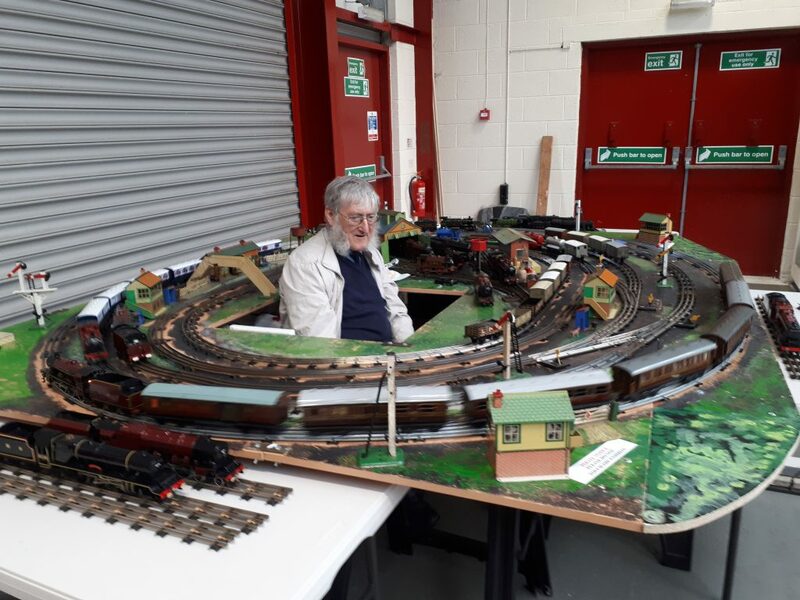 Alan is seen here happily operating his three rail O gauge train set.